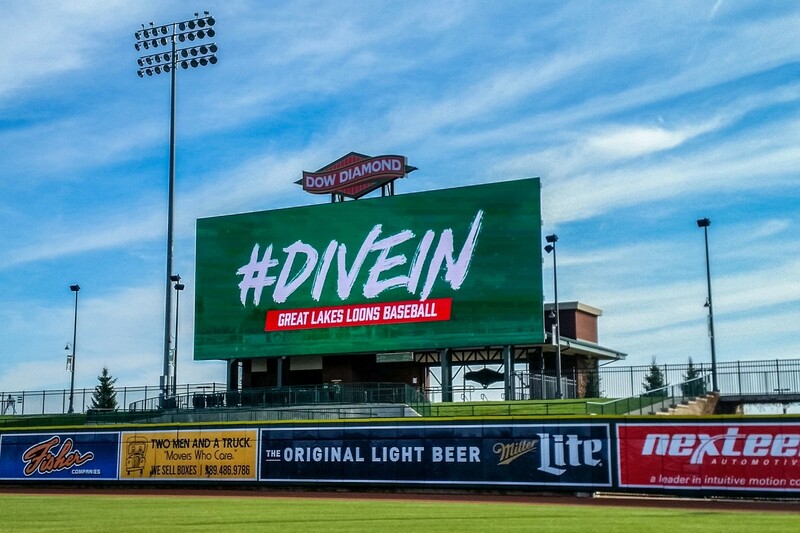 The Great Lakes Loons already had a new state-of-the-art scoreboard installed at Dow Diamond this offseason. On Thursday, the team announced two more upgrades planned for their ballpark, which opened in 2007. The two-story Loon Loft team store is getting a dedicated space of 400 square feet where fans can purchase retro gear of the Loons, MLB teams, local colleges, and other Michigan merchandise. The retro store will be on the first floor of the Loon Loft and be visible from the stadium entrance on the home plate side of the park. Its grand opening is slated for May 1. The playground area (Lou E.’s Lookout) also is getting upgraded, with the addition of new equipment and complete replacement of the play surface, which has the safety design of being “soft and forgiving” when a child falls on it. This construction will take place in late June, with the new-look playground tentatively set to open June 28, the first Loons home game after the All-Star break. Last fall, a new video scoreboard and ribbon display boards were installed at Dow Diamond. The video board is the largest in the Midwest League and the fifth-largest in Minor League Baseball. You can read more about the new video display boards here.